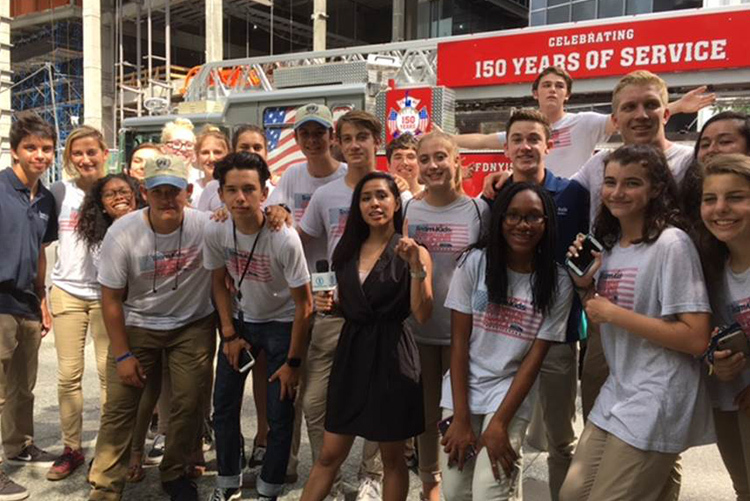 Team Kids: Join a 9/11 Call to Serve! At 23 years of age, some may say I’m young, while those participating in Team Kids may say I’m old. What I do know is within the past 10 years, Team Kids has made a tremendous impact on my life and the lives of countless others across the country. 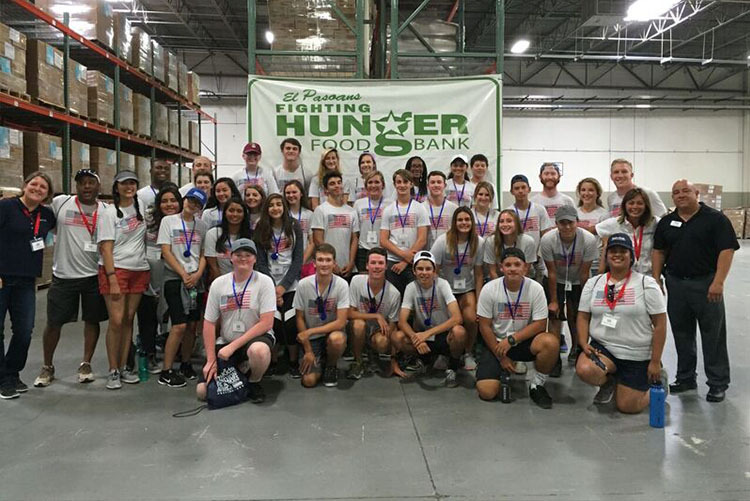 Team Kids empowers our youngest citizens to serve those in need while addressing our community’s most critical issues. 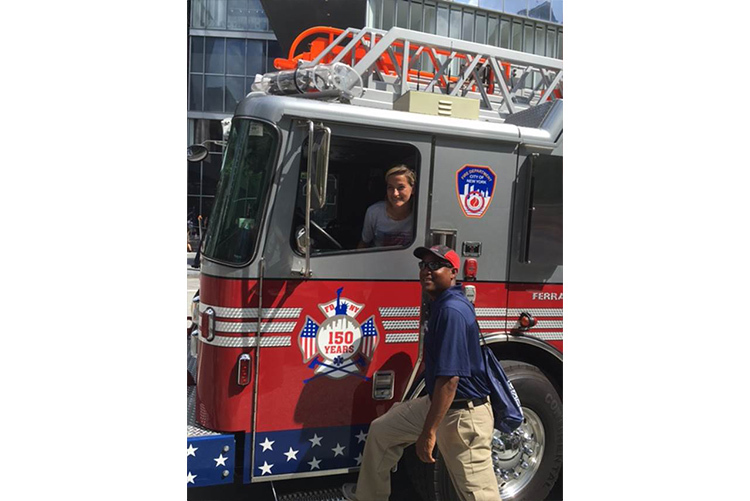 Team Kids provides the opportunity for young people to work with police and firefighters to help others while instilling a sense of purpose beyond ourselves to impact our world. From a young age, I learned that kids really do have the power to change the world — from little acts of kindness to nationwide projects. 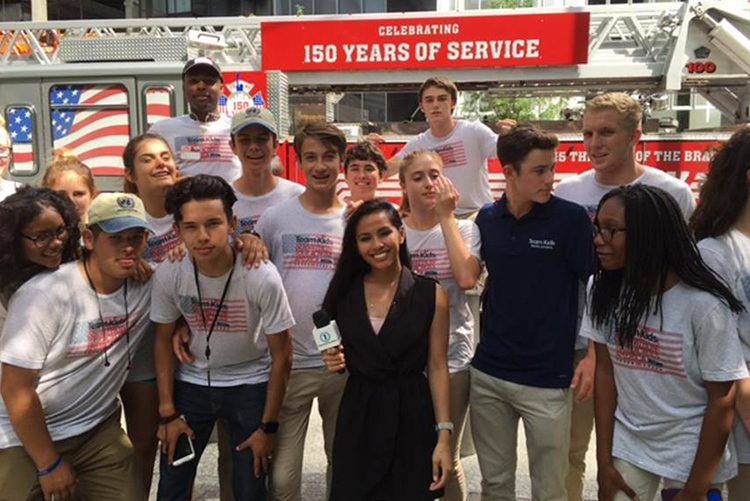 This summer, in honor of the 15 anniversary of 9/11, I hopped on a tour bus with 40+ high school teenagers, college students and chaperones and was part of the Team Kids Servathon: Tour Across America. 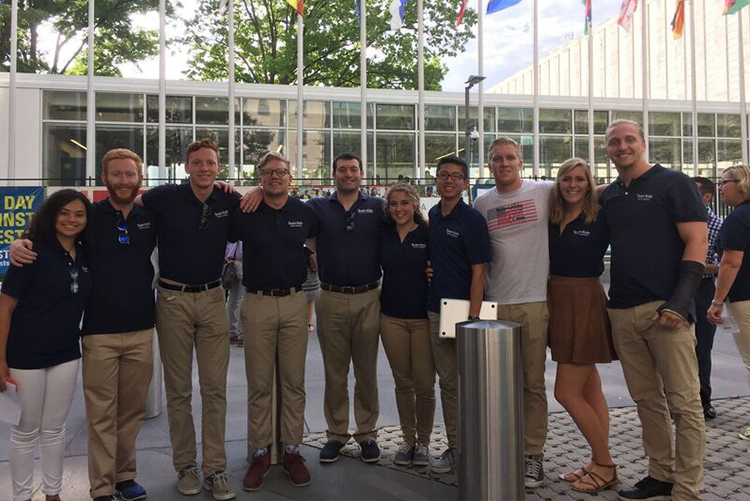 I was lucky enough to travel to 14 cities in 14 days, from California to New York, and be part of life-changing service projects. 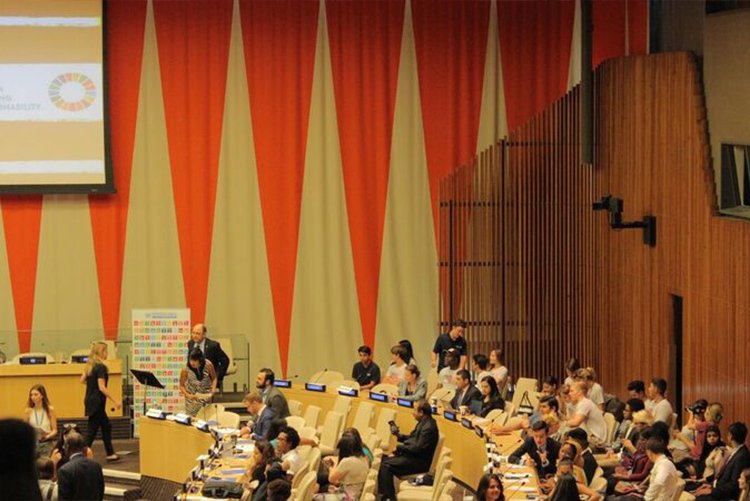 We served through Texas, Louisiana, Tennessee, Indiana, Pennsylvania, Virginia, Washington DC, and I even helped deliver a presentation at the United Nations (you can see photos from our tour in the slideshow below). 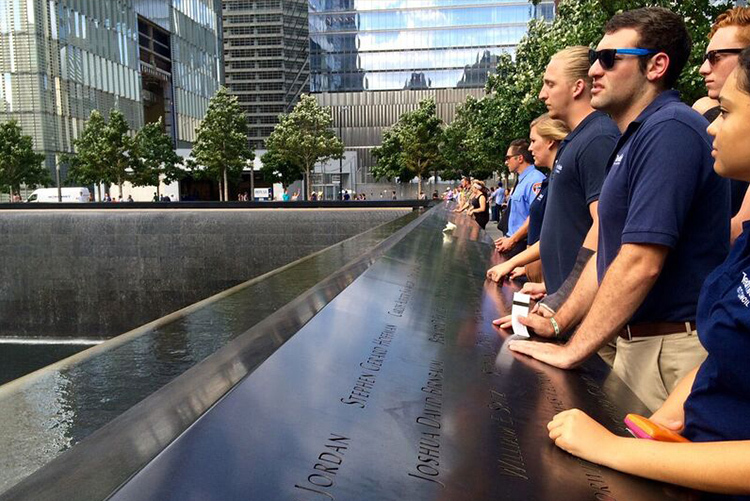 Our final and most emotional stop was at Ground Zero in New York. 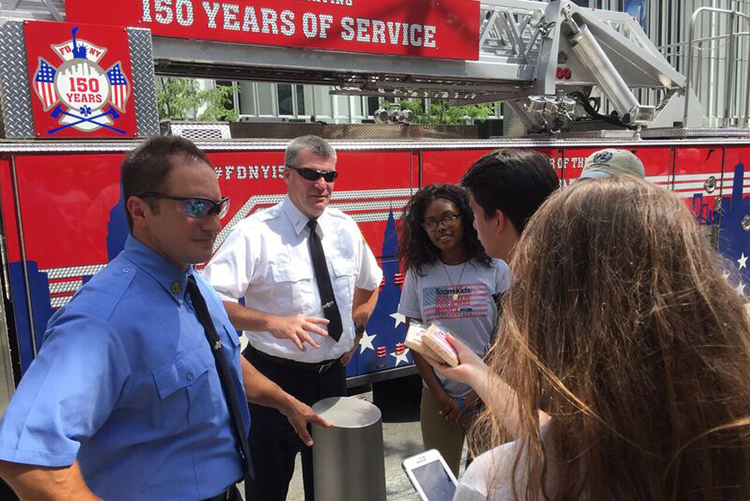 Our team had the opportunity to meet first responders who served at all three of the 9/11 crash sites. There were endless tears as we walked through the memorials and heard the first-hand stories of heroes who responded on that horrific day in September. As a chaperone for the Servathon this year, I was able to reflect upon and understand the impact our youth can have on society today. Witnessing the nonstop service performed by these young teenagers and how passionate they were about creating change helped me realize that empowering others to serve at a young age is not only possible, but also critical. 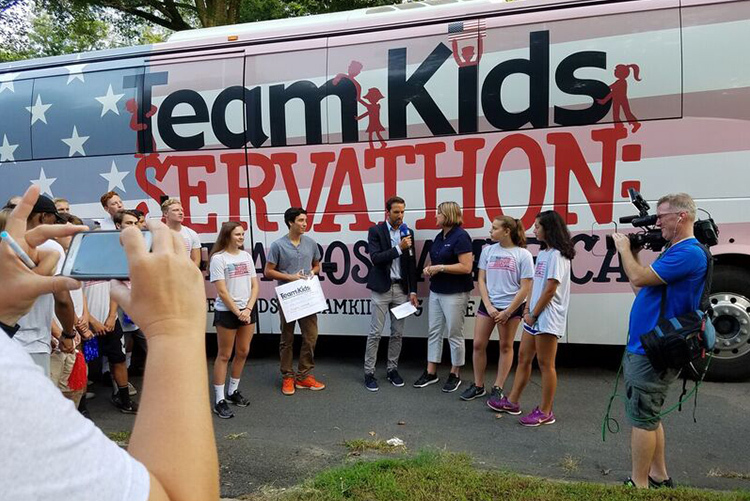 You could say that a cross-country tour addressing our nation’s most pressing issues is one way to make a difference — and you’re right —it was one of the greatest experiences of my life! 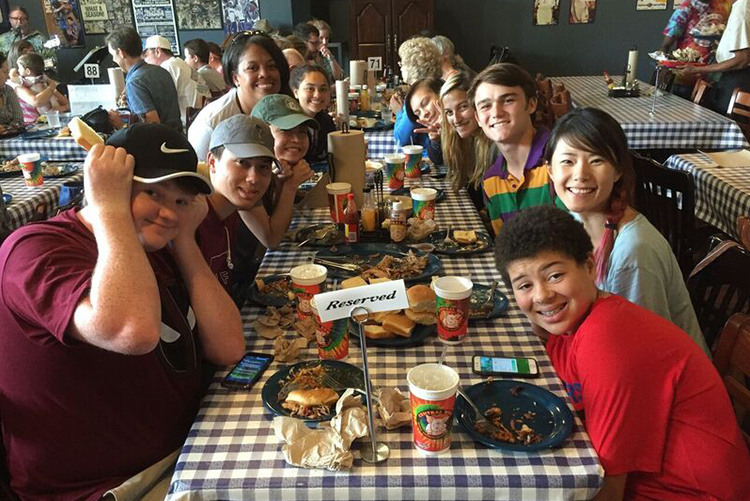 Although a two-week 40+-person tour across America isn’t something we can easily swing every year, we can provide a two-month experience for you and the rest of the nation to participate in! This year is especially important. 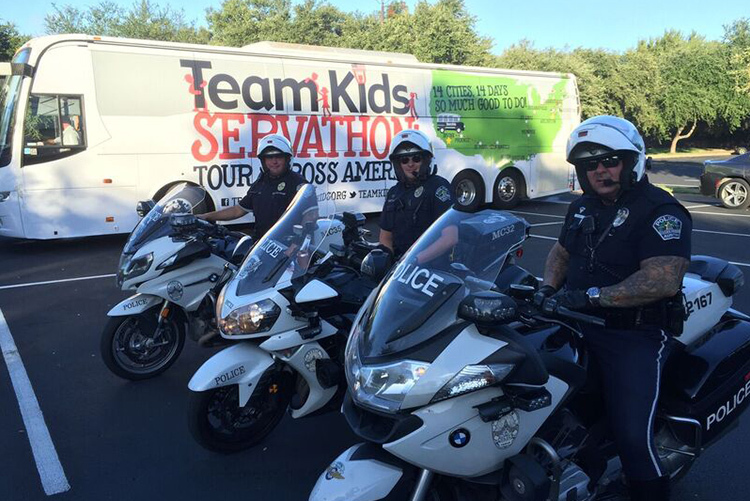 In addition to being the 15th anniversary of 9/11, it’s also the 15th anniversary of Team Kids! 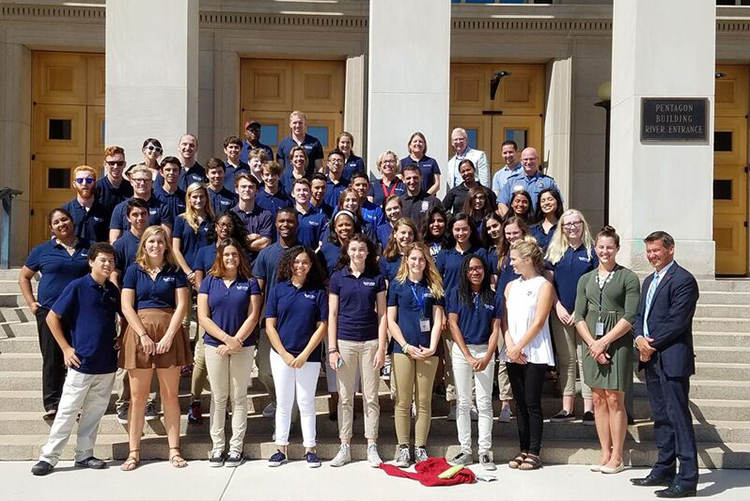 So from Sunday, September 11th through Veterans Day on Friday, November 11th, you can join teens across the country to set up a homemade LemonAID stand or a bake sale, car wash or any other event to raise money for Snowball Express, an organization serving the children of our fallen military heroes. 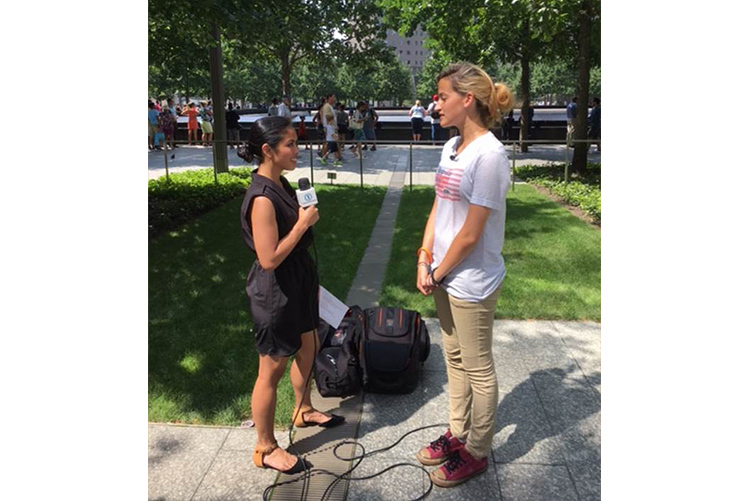 You can also join in and send love to our troops through our Letters from Home project. 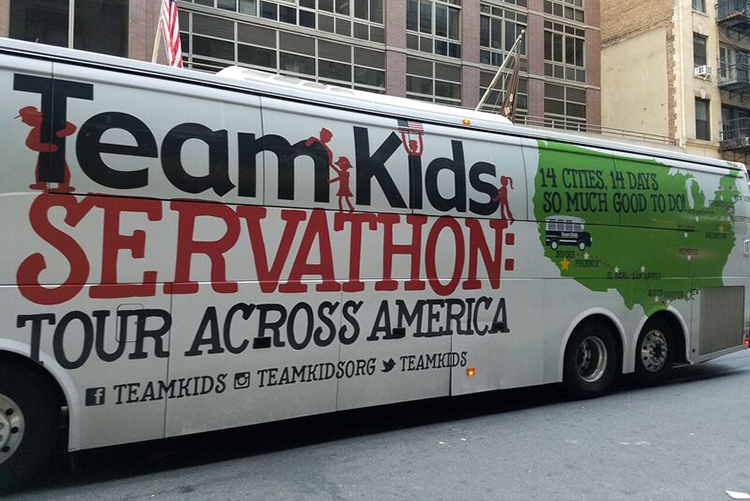 All details can be found at www.teamkids.org, and you can email Julie Hudash at jhudash@teamkids.org for more info. Now is the time to make a change. 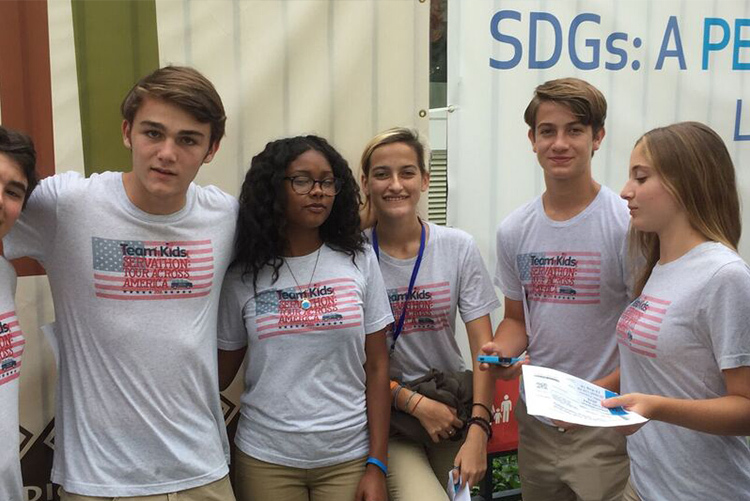 Join in on the Team Kids movement to show the world the power of its youngest citizens! 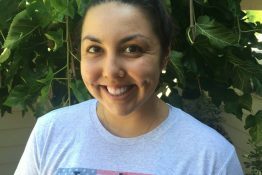 Keiko Arzouman started Team Kids at the age of 11 and continues to stay involved today while pursuing her Masters in Sport Management from the University of San Francisco. Vote: Are Pizza ATMs the Next Big Thing? Vote: Is Growing Your Own Furniture the Next Big Thing? 9/11 is the worst thing that happened. But,Team Kids is a great way to show love to the people that was in 9/11. The people that was in 9/11 Love you!!! I would love to help with Team Kids.That’s the way to show love to the people that was in 9/11.I am also praying for them too.GO TEAM KIDS!!!!! I would love to help with this event. It is a great idea to help serve with that. I’m cheering them on all the way! I would go cause I love sports and everyone needs to come with me to have some fun. i want to do it too ok.
How where the team kids created? I want to help that need help from all of the attacks. It would’ve been nice for them to pay a visit to West Virginia and help with the flood victims.